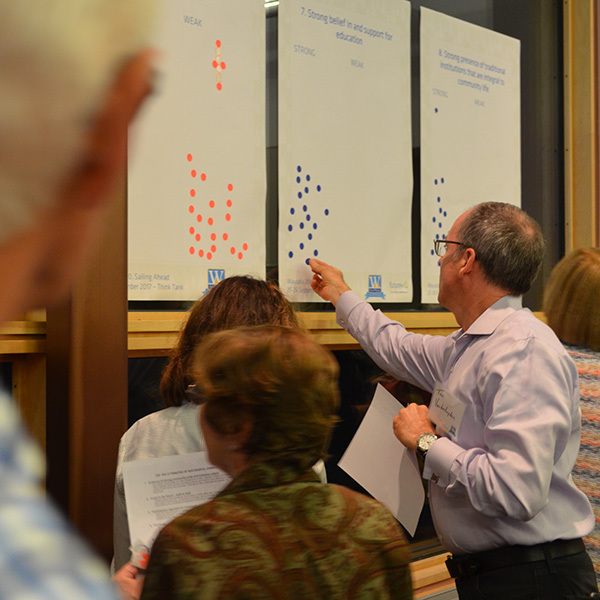 How important is it to consider the shared vision when making decisions for the community? Please select your view on the following continuum; from ‘1= Not Important’, to ‘2= Highly Important’. Similar to the Importance of Shared Vision, these results reflect a strong view that people want to see the vision used in community decision making processes. This suggests there would be merit in developing a system for community members to see the vision being used as a guiding framework in future decision-making forums.